Freight and erection costs priced separately. A laminated log is made of multiple pieces of wood which are glued together either horizontally or vertically. With Laminated log the finished product is an elegant, timeless and clear-cut building. Here the wood doesn’t contract, stretch, twist or shake nearly as much as one piece round or planed logs , and glueing allows the logs to be made thicker. Multi-Laminated log is glued both vertically and horizontally. This further reduces denting, bending and cracking. Planed log is rectangular in shape but still of one piece of wood. 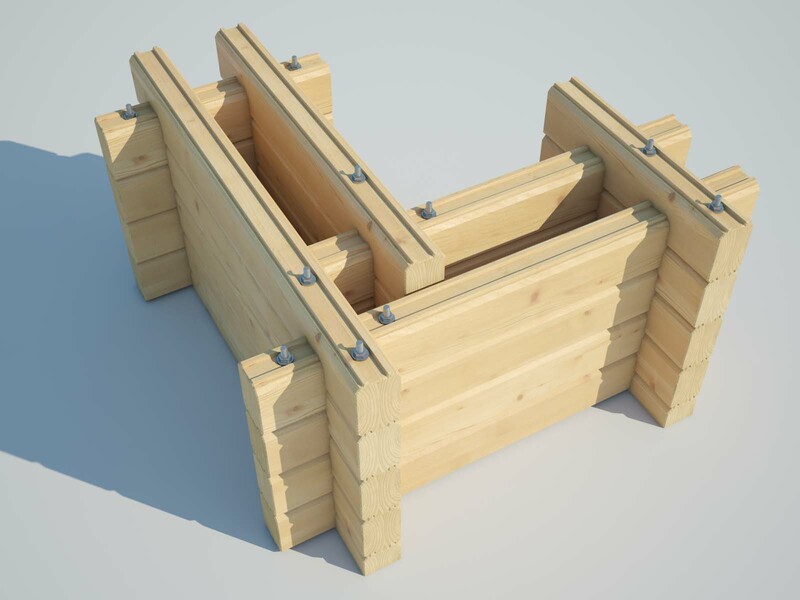 The rectangular shape is well suited to both traditional and modern log building architecture. 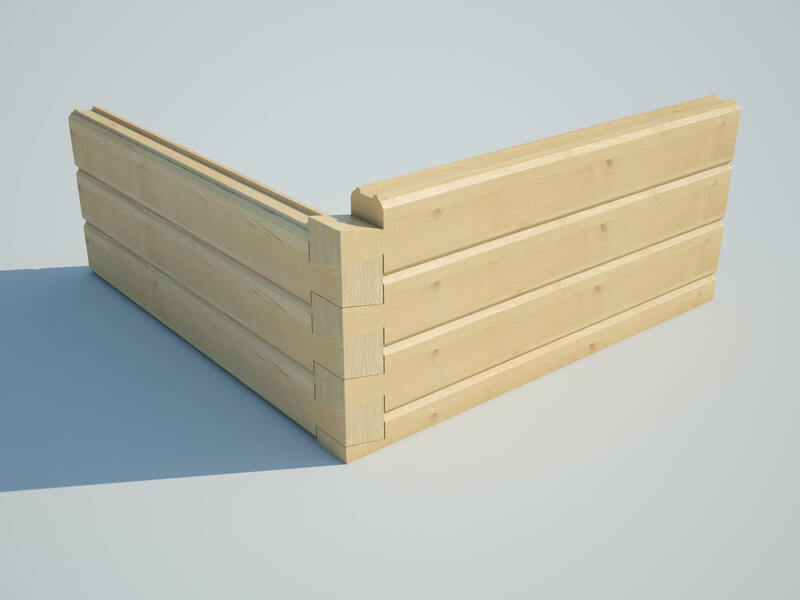 Planed logs produce an evenly thick, breathing wall structure that is dependable and functional. This is the most commonly used joint. Holes drilled either side are used for strengthening and tightening. This is used when the cross corner notch is not allowed according local building regulations of log homes near city centre for example. 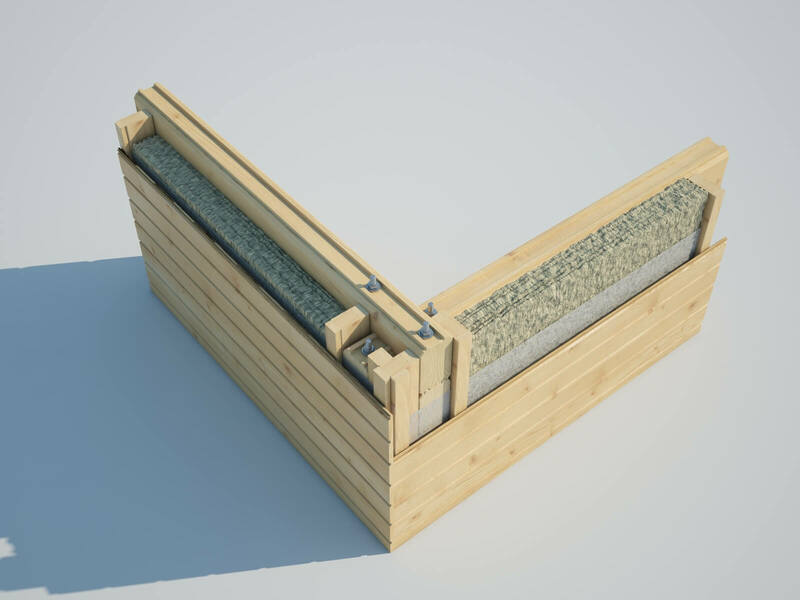 This wall type is used to add extra insulation/warmth to the outer walls if required. It offers an economical alternative to the thickest laminated logs that do not need extra insulation. This wall is used when the cross corner notch is not allowed. 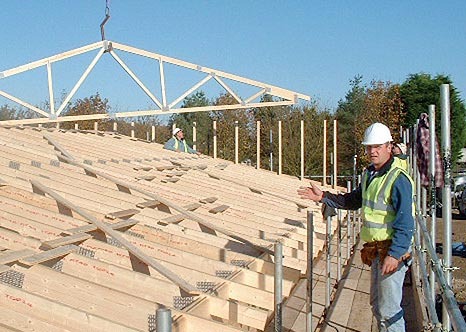 It adds extra insulation to help comply to building regulations while covering the cross corner and at the same time is more economical than a full thickness Laminated log. This solution can be used as a simplified modern looking normal corner notch. 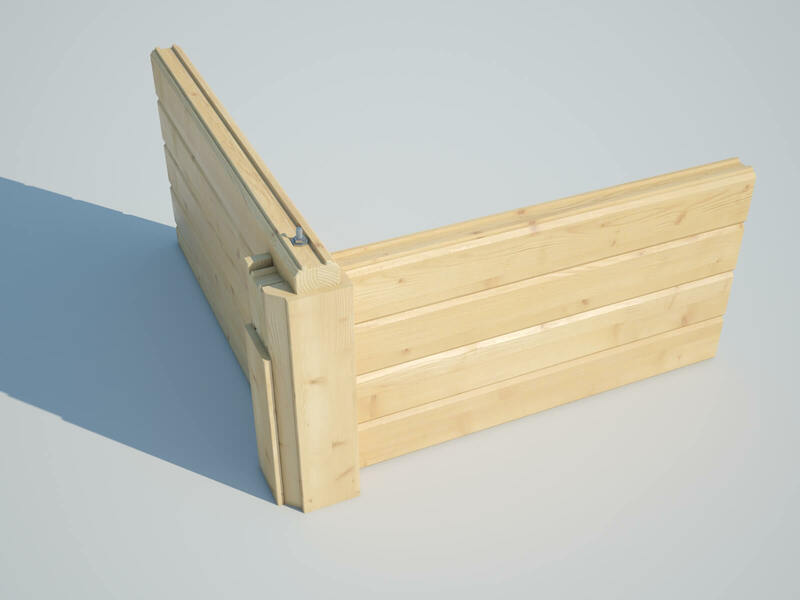 It can be made with all thicknesses of logs and also can be used when two different log profile thicknesses are used within the same building, ie Thick outer and thinner inner walls. 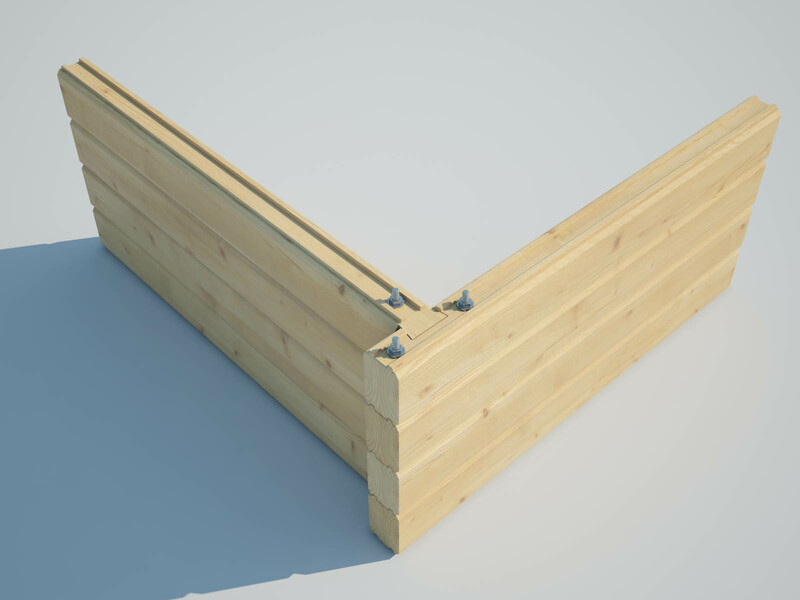 This Dovetail joint solution can be used when the cross corner notch overhang is not allowed according local building regulations of log homes. Although it’s minimalist, clean and crisp appearance can be used anywhere. 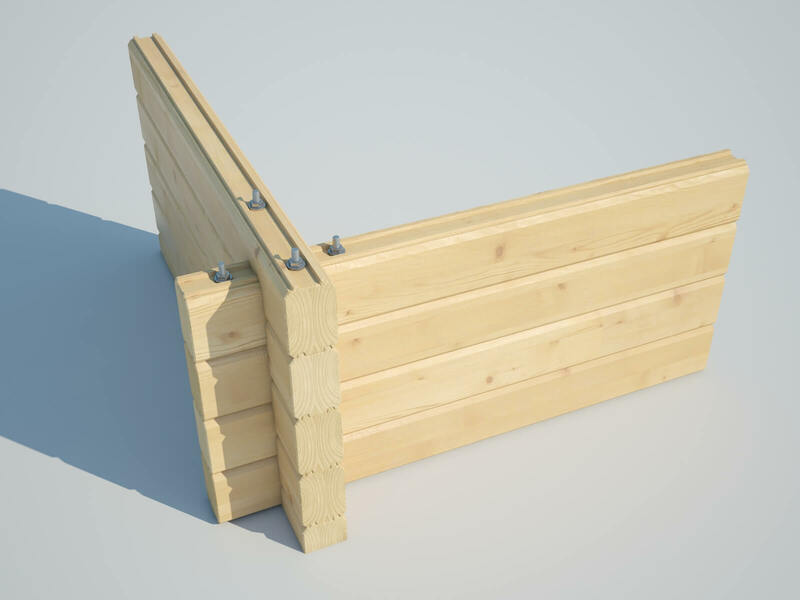 The Twin-skin log wall are double log walls with thermal insulation in between when necessary. 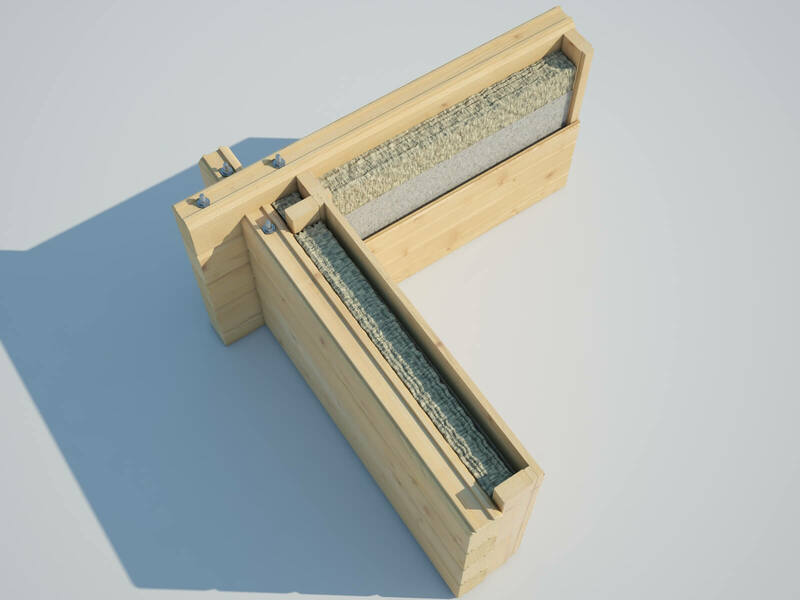 This is used as an alternative solution and is ideal for residential buildings designed to live in all year around, including the coldest winter time.